The complete WinForm controls toolkit for modern and fast presentation layer in .NET. This is one of the most complete toolkits ever created for WinForms presentation layer development. The incredible set of 70+ extended and custom controls ensure that you have a powerful toolkit, which is at the same time reliable, skinnable and fast. From simple common controls such as buttons, radio and check boxes to more sophisticated ones like entended tree and list views, outlook navigation bars, docking bars, data grid and others, this toolkit contains almost everything you need to develop a modern and efficient presentation layer. This product provides feature rich, distinguishable and stylish menus and toolbars, which will greatly help you mimic the Office 2003 commanding logic. 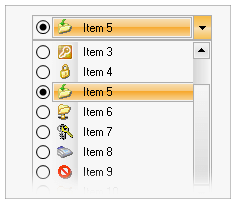 Features such as visual command bars editing, command bars dock and undock, built-in customization editor, support for workspaces and the ability to create custom command bar items, are just a few of the features, because of which our command bars are very similar to the ones inside Microsoft Office 2003. This product comes along with a feature rich, distinguishable and stylish docking bars, which will greatly help you implement Microsoft Visual Studio like workplace arrangement logic. 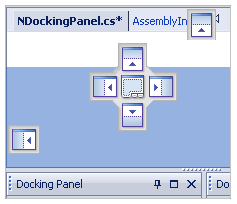 Features such as dock and undock, docking preview ghosts, support for workspaces and a flexible layout architecture, are just a few of the features because of which our docking bars are very similar to the ones inside Microsoft Visual Studio. Integration inside the Visual Studio toolbox and design surface. Easy Skin-in and Skin-out. 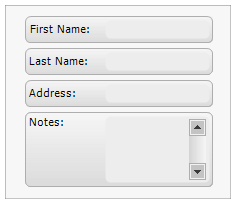 Allows you to skin any WinForms dialog that you have developed or go back to default WinForms controls, if you have developed the dialog with Nevron UI for .NET. Large set of predefined skins. Ability to create custom skins with a custom skin editor. Adobe Photoshop like 2D image filters. HTML like rich formatted texts.